View cart “Hot Wheels Honda CRX Red Lip Racing Wheels and Rubber Tires” has been added to your cart. 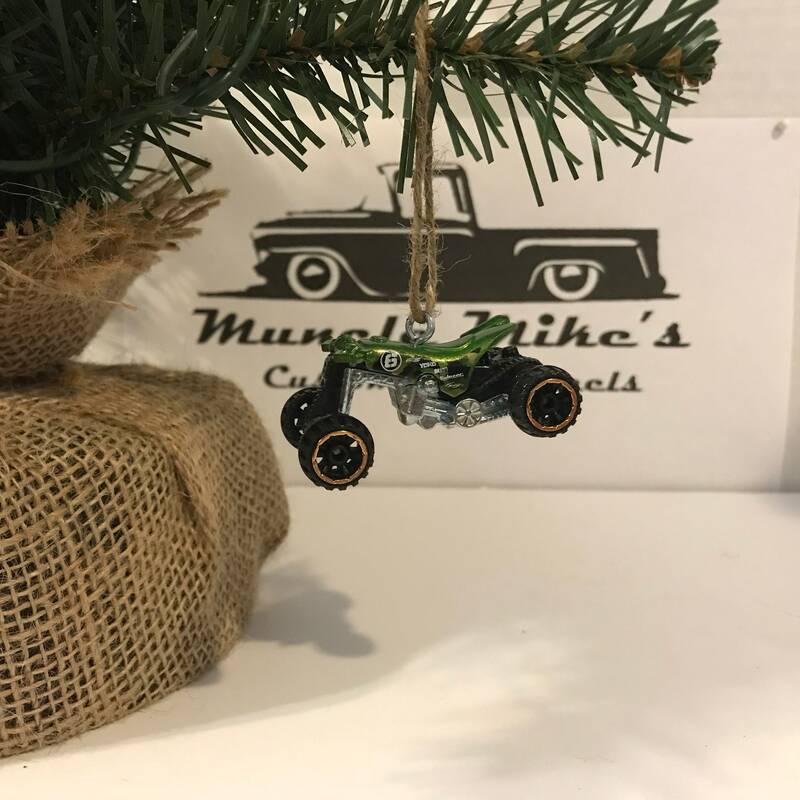 One Custom Hot Wheels Daredevils 4wheeler offroad dirt bike green Quad Rod Christmas ornament. May have minor factory defects as received from the manufacturer.